Description: Discover the shocking secrets of making big money online as an affiliate! Inside this eBook, you will discover the topics about how to eliminate faulty campaigns and skyrocket your income instantly, with proven strategies from affiliate marketing pros! 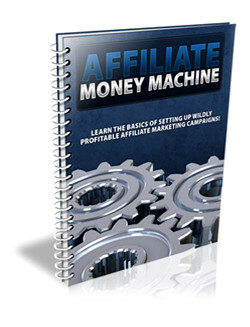 Replicate the strategies of some of the most successful affiliate marketers! Find out how you can set up a powerful affiliate system that will generate unstoppable commissions in killer markets and so much more! ► Contains 24 Pages and 3421 Words. Description: The proven ways to discover massive profits in desperate niches! Inside this eBook, you will discover the topics about the simple system for uncovering the hottest niche markets online! 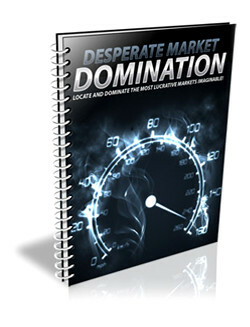 Eliminate market research by building profitable campaigns around these pre-approved desperate markets for instant cash! Find out why desperate markets are so incredibly profitable and how you can dominate some of the hottest markets easily and so much more! ► Contains 21 Pages and 2015 Words. Description: Discover the quick and easy way to uncover the most profitable keywords! 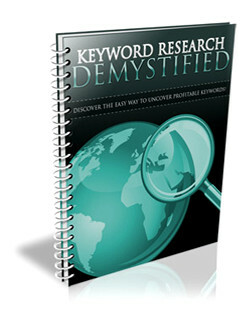 Inside this eBook, you will discover the topics about simplify your keyword research and uncover some of the hottest keywords for insanely profitable markets, instantly! How to determine what keywords to use within your affiliate campaigns for maximum conversions and profits and so much more! ► Contains 12 Pages and 1564 Words. 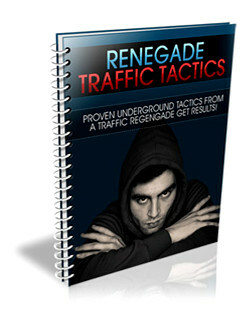 Description: The underground traffic tactics of a renegade marketer! Inside this eBook, you will discover the topics about how to skyrocket your profits instantly with these power packed strategies for driving unlimited traffic to your affiliate campaigns! Minimize costs by exploiting powerful, free traffic magnets that will flood your campaigns with hungry, targeted buyers! Find out how one free resource has the potential to send a non-stop stampede of traffic to any affiliate campaign you wish and so much more! ► Contains 13 Pages and 1629 Words. Description: Learn the secrets of piggybacking off million dollar launches for huge income! Inside this eBook, you will discover the topics about the shocking techniques to maximizing your affiliate profits by piggybacking off million dollar launches! Discover the #1 secret used by the top affiliate marketers that will instantly jack up your profits! 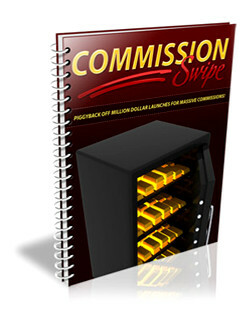 Stealth strategies to swiping commissions and dominating the hottest markets and so much more! ► Contains 22 Pages and 3339 Words. 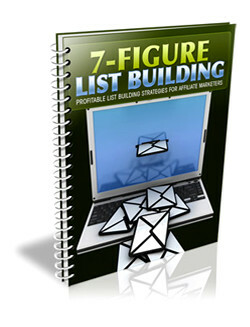 Description: The 7-figure list building tactics of wealthy super affiliates! Inside this eBook, you will discover the topics about how to set your affiliate campaigns on fire with these lightning fast list building strategies! Find out how you can flood your mailing list with hyper-responsive subscribers instantly! Turbo charge your profits by creating tailor-made campaigns using these simple strategies and so much more! ► Contains 28 Pages and 4581 Words.